The major story of the day was the much awaited punishment of Clippers owner Donald Sterling. 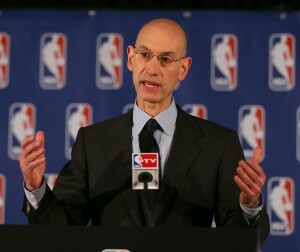 After his highly racist remarks went public, everyone wondered what type of penalty new commissioner Adam Silver would administer. Would he force a sale? Or would it just be a big fine? Silver came to the podium and impressed everybody. He completely banned Donald Sterling from all NBA activities forever. He can’t come to a game or a practice. Furthermore, Sterling fined him the maximum allowed $2.5 million and said he would encourage the board of governors to force a sale of the team. 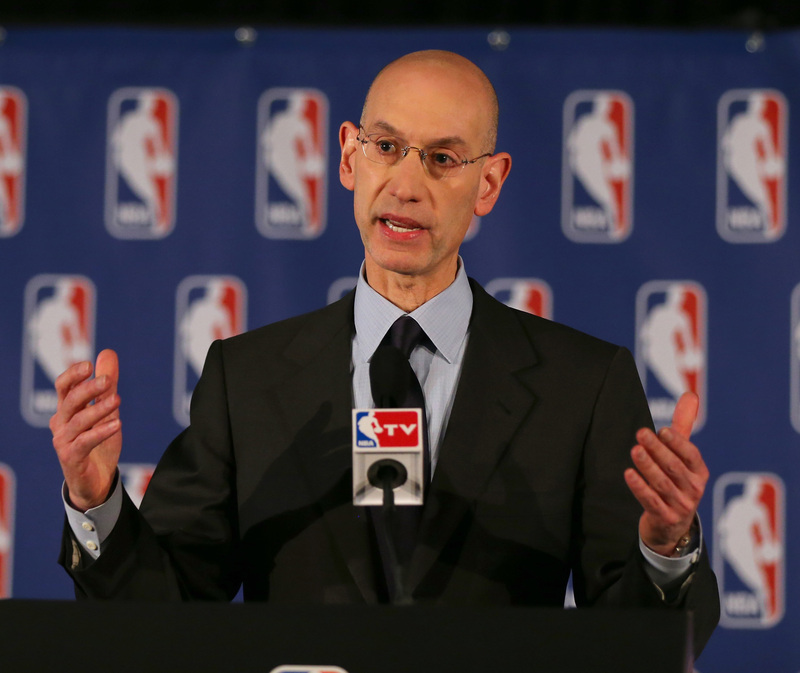 Silver said he was personally offended by the remarks, and this behavior would not be tolerated in his league. Basketball fans and players rejoiced — celebrating Silver’s action. They all took to Twitter in admiration. In basketball action, it was Game 5 between the Oklahoma City Thunder and the Memphis Grizzlies. The series was tied 2-2, and the Thunder definitely needed the win, as they didn’t want to face a close out win IN Memphis. Thanks to an incredible steal and lay-up by Russell Westbrook, the game needed overtime. And this is the 4th straight overtime in this series! In OT, the Thunder had one last shot, Durant put up a shot to win it, missed, and Ibaka tipped it in. The fans went crazy!!! But… unfortunately for Thunder fans, the tip-in was after the buzzer. Memphis 100, OKC 99. And in Los Angeles, the Clippers took the court in the aftermath of the emotional situation with Donald Sterling. Would they be ready? Would they be too distracted? Not at all. They are motivated to make a journey toward the Finals this post-season, as they’re completely healthy and would love to win it all after such a challenging emotional journey these past few days. LA Clippers 113, Golden State 103.